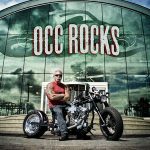 Last year, the “American Chopper” TV franchise was reinvigorated by a special live show that brought in nearly 5 million total viewers and was the most-watched show among men of the entire TV schedule’s night. 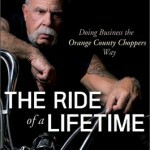 Called “American Chopper Live – The Build-Off,” the show pitted the Orange County Chopper crew against Paul Jr. Designs and the irascible malcontent Jesse James. We had a special interest in the show because Motorcycle.com Editor-in-Chief Kevin Duke was invited to be a guest judge on the show. You can read his story here. 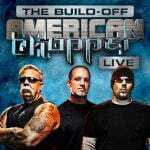 With that ratings bonanza in the bank, the Discovery Channel’s “American Chopper” juggernaut is developing an even bigger build-off event scheduled to take place this December. The new event sees the inclusion of the Gas Monkey Garage team of Richard Rowlings and Aaron Kaufman from Discovery’s “Fast N’ Loud” series going head to head against the three rival shops from last year. 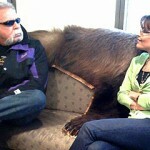 Paul Teutul Sr. and his son continue to have their differences and James has his own well-publicized controversies. 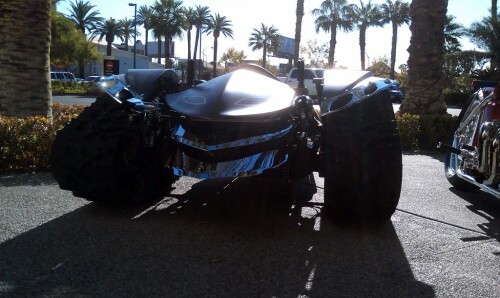 Not one to be left out of the firefight, Rawlings recently ripped into James on TMZ, musing about marrying wealthy middle-aged actresses and buying the garage formerly used by James’ now-closed West Coast Choppers. He may be the new guy in this competition but Rawlings is obviously comfortable trash talking now that he’s hosting the Discovery Channel’s highest rating show. 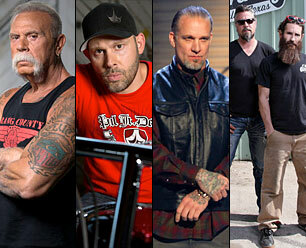 Like last year’s build-off, the new American Chopper Live show will air over two nights. 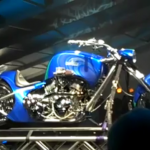 Each team will show off its finished motorcycle (and we’re hoping Paul Sr. will produce an actual motorcycle this time around instead of the tank pictured here) on Dec. 10 at American Chopper’s usual 9 pm EST air time. The show will then air live the following night, Dec. 11 at 9 pm EST from the Hard Rock Hotel & Casino in Las Vegas for the final judging.